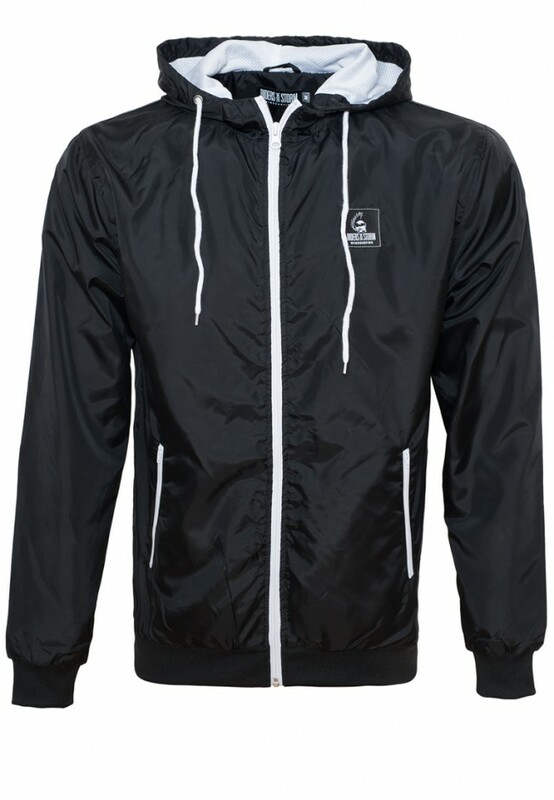 Water-repellent nylon windbreaker with a hood and ribbed cuffs. 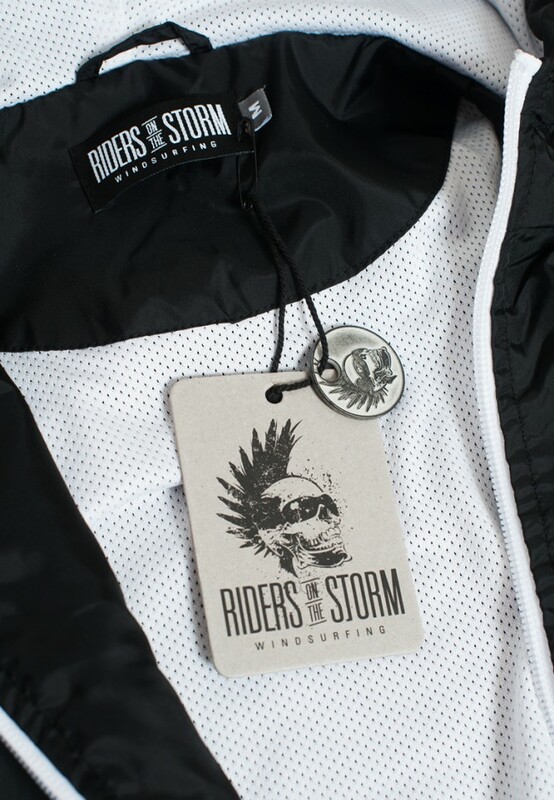 The mesh lining, as well as the zips and the drawstrings are contrasting in white color. 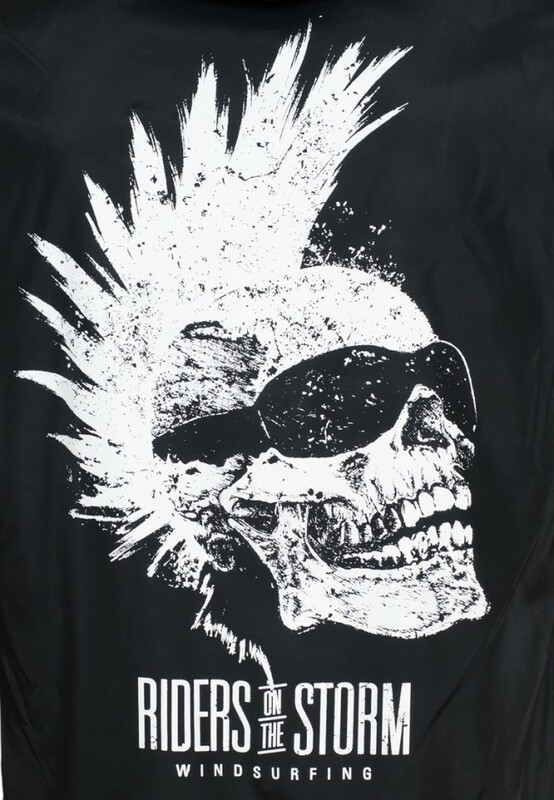 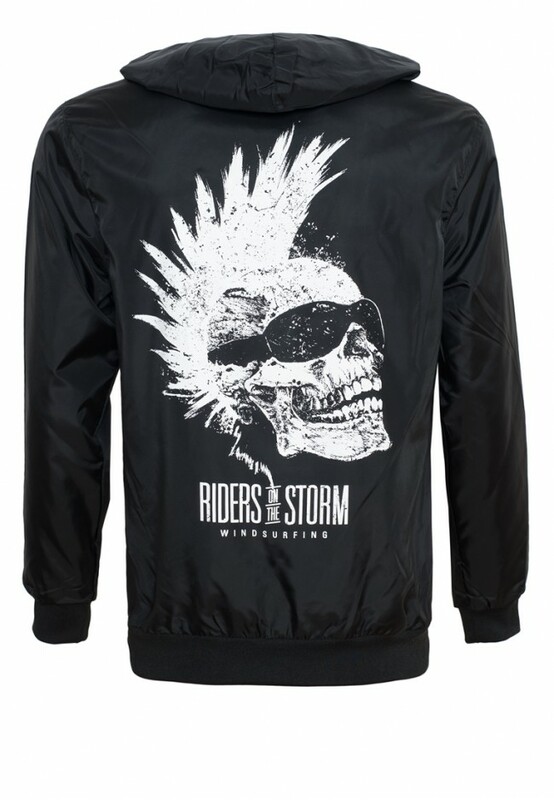 A special eye-catcher is the large Riders Skull screen print on the backside, which is made by elaborative handwork. 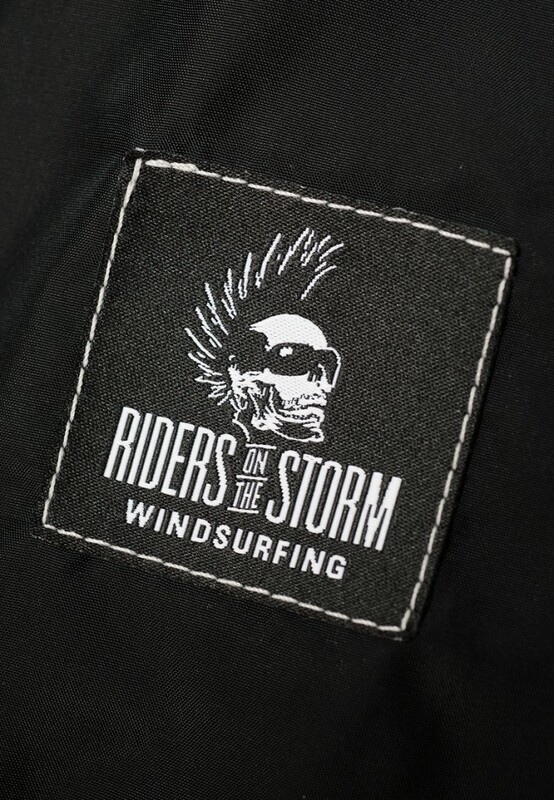 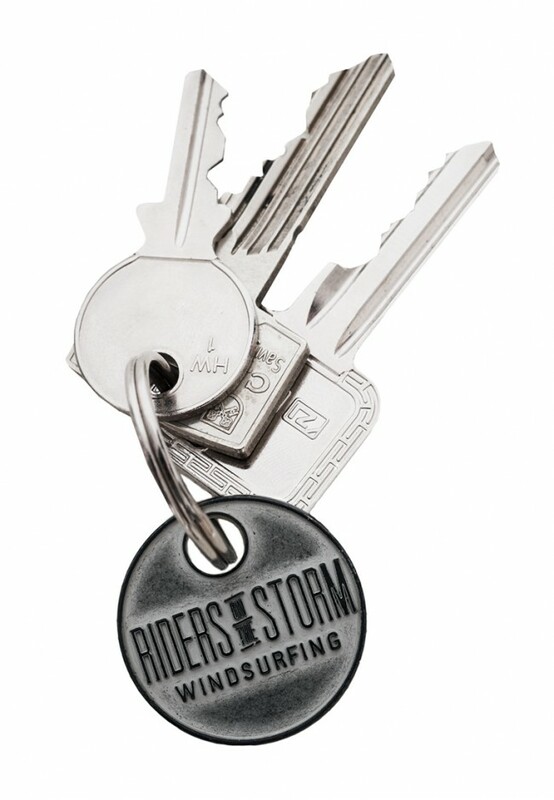 Our Riders On The Storm-Label is placed above the left chest in front. Additionally to your jacket, you will receive our cool vintage appealing full metal coin for your bunch of keys.